After I had completed my DJI Quadcopter, I wanted to try out some FPV without spending hundreds of dollars on equipment. After researching various FPV equipment, I decided that the quickest and easiest way to try FPV would be to use my iPhone. I know that using an iPhone isn't as responsive or reliable as some of the more expensive equipment built for the sole purpose of FPV, but I still wanted to try it anyways. Previous methods of using an iPhone for FPV have entailed the use of FaceTime or Skype over a 3G network, but those connections always have lag and drop out at the most unexpected times. The method I will describe to you below employs a direct connection between my computer and my iPhone, allowing me approximately 150ft of range in all directions. The only additional piece of software you will need for this is called "Reflection". Although it is a paid app, I believe it is worth the investment for the features it offers. 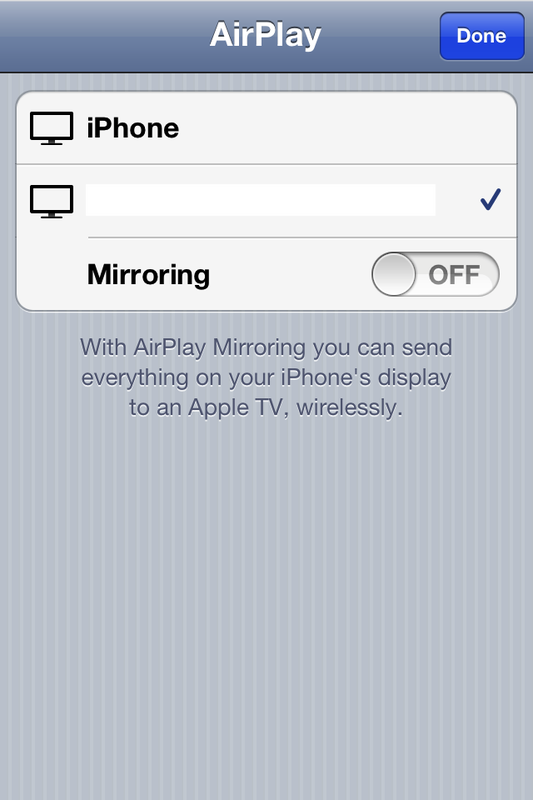 All reflection does, is make your computer appear as an Apple TV to any near by iOS device. Why do we need to do this? 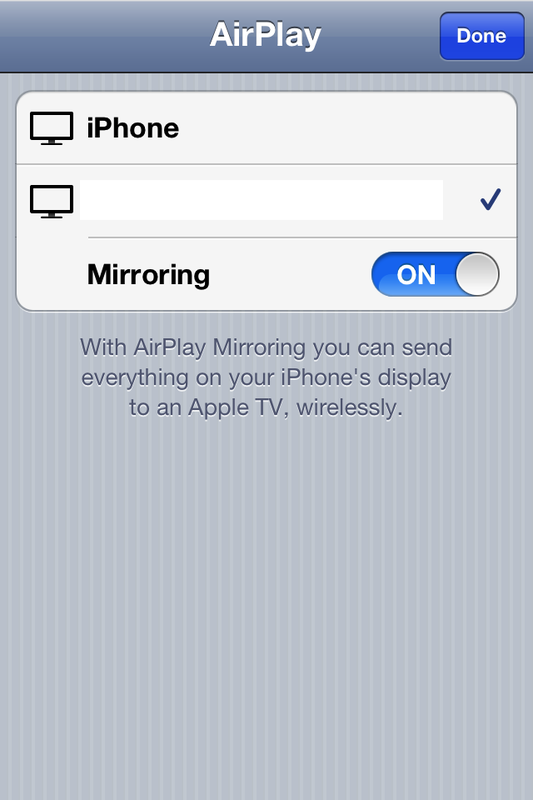 Well, all of Apple's recent iOS devices have a feature called Airplay, whereby the device can stream footage from its screen to an Apple TV. Due to the fact that Reflection makes your computer look like an Apple TV, the iOS device will be able stream its screen to the computer via Airplay. Note: This application is currently only available for Mac OSX, so the following steps are for OSX users only. The steps below detail how to setup Reflection and establish a connection between the iPhone and a Macbook Pro. Step 1. Download "Reflection" here and install it on your computer. 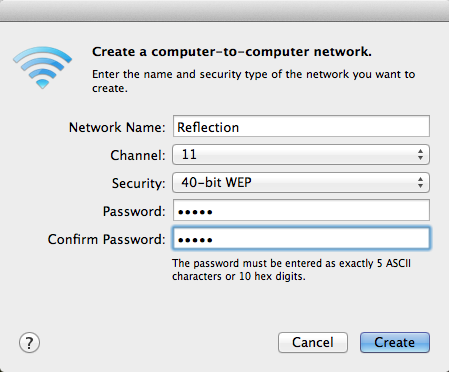 security as "40-bit WEP" and enter any 5-digit password of your choice. Step 4. 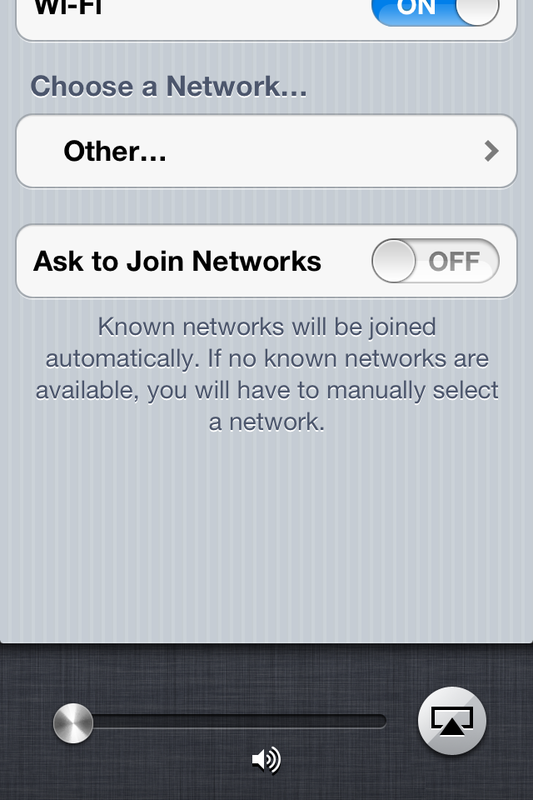 After the you have created the network, the icon for the WiFi signal should change like you see below. Step 6. Next, open up the Reflection application on your computer. 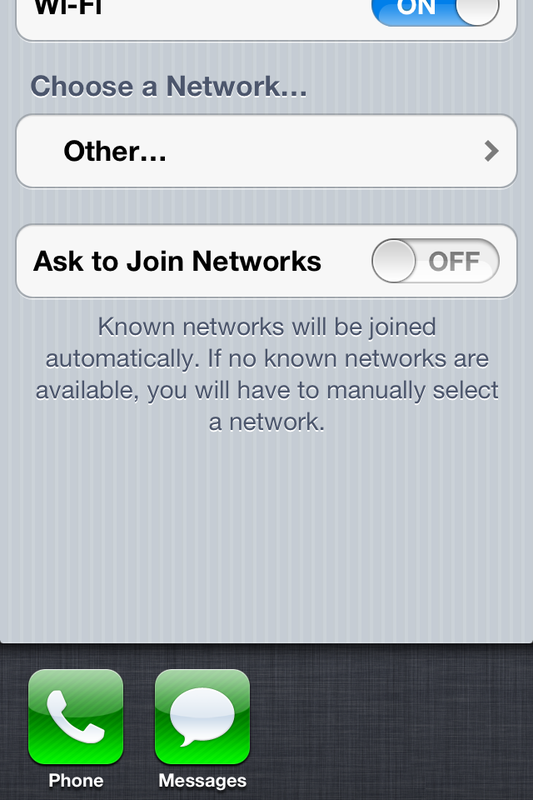 until the volume slider appears with the Airplay icon next to it. your computer, turn the "Mirroring" option ON. Step 9. A few seconds after you turn "Mirroring" on, the following screen should appear on your computer. 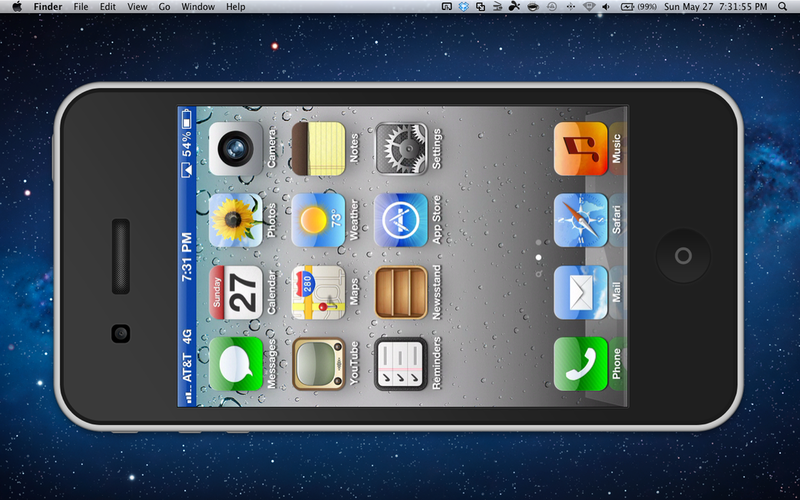 from the iPhone, so you don't have to worry about using up memory on your iPhone. The Reflection application allows the user to adjust many settings of the streaming footage. Everything can be optimized to establish the most stable and consistent connection. I found the lag in the streaming of the video to be minimal - maybe 0.5 seconds. While I was able to fly some slow flights on my quadcopter using this setup, I wouldn't recommend doing any fast circuits as the lag becomes too much to handle at that point. Also, I would recommend flying only at a time when others are not using their 2.4GHz transmitters as this can cause interference in the signal and slow down the connection. All in all, I liked this setup as a beginner FPV package. I didn't have to spend too much money on equipment and I was able to use tools I had at my disposal. I would definitely recommend this to anyone who wants to try FPV for the first time, on the cheap.